NASA's new planet-hunting spacecraft, known as the Transiting Exoplanet Survey Satellite (TESS), is now beaming back data to help scientists track new planets that exist beyond our solar system. 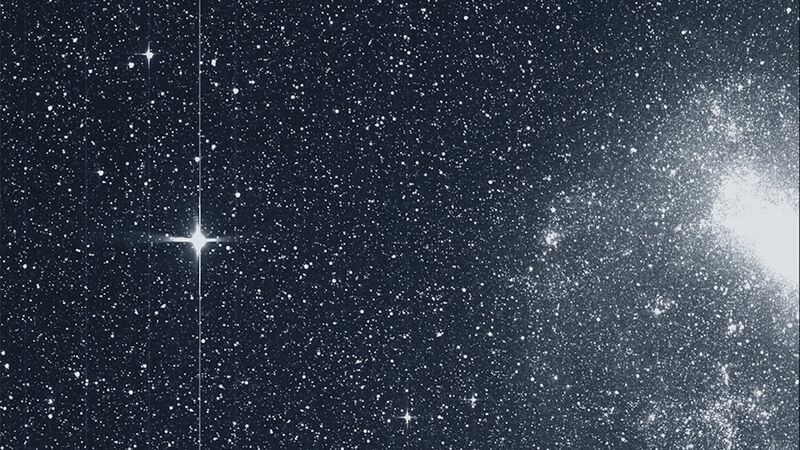 While in its initial science orbit, TESS took a detailed snapshot of the southern sky, which NASA called a "first light" image. The details: NASA says the image was captured using TESS' four cameras during a 30-minute period on Aug.7 and that it includes stars and other systems already thought to contain exoplanets. The TESS satellite captured this strip of stars and galaxies in the southern sky during one 30-minute period on Tuesday, Aug. 7. Notable features in this swath of the southern sky include the Large and Small Magellanic Clouds and a globular cluster called NGC 104, also known as 47 Tucanae. Credit: NASA/MIT/TESS.